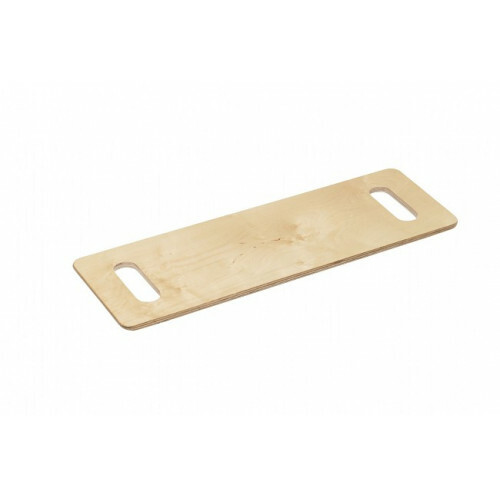 Drive's Wood Transfer Boards with Cut-Out Handles make transferring to and from a wheelchair easier. Made of durable Baltic Birch with a clear lacquer finish, the transfer device supports users weighing up to 440 lbs. The transfer board's ends are tapered and the corners are rounded to ensure a seamless transfer. Choose from a 24" or 30" length model.